Art is not a luxury. Art is a basic social need to which everyone has a right. Art is an invitation to questioning; it is the social place of doubt, of wanting to understand and wanting to change reality. Art is not only a statement of the present, it is also a call for a different future, a better one. Therefore, it is a right not only to enjoy art, but to be able to create it. Art is a common good that does not have to be entirely understood in the moment one finds it. Art is a space of vulnerability from which what is social is deconstructed to construct what is human. Artists not only have the right to dissent, but the duty to do so. Artists have the right to dissent not only from affective, moral, philosophical, or cultural aspects, but also from economic and political ones. Artists have the right to disagree with power, with the status quo. Artists have the right to be respected and protected when they dissent. confront. Without the possibility to dissent, an artist becomes an administrator of technical goods, behaves like a consumption manufacturer and transforms into a jester. It is a sad society where this is all social awareness creates. Artists also have the right to be understood in the complexity of their dissent. An artist should not be judged first and discussed later. their best defense strategy, instead of processing criticism and calling for public debate. Nothing justifies the use of violence against an idea or the person suggesting it. opportunity and the duty to suggest the imagery of other social alternatives, of using their communication tools from a space of sensitive responsibility. if that were this way. ̈ Therefore, they cannot be judged from spaces in the past, from laws trying to preserve what is already established. Governments must stop fearing ideas. right of citizens, and artists are active citizens. That is why artists have the right and the responsibility not only to think up a different and better world, but to try to build it. Artists have the right to be artivists (part artists/part activists), because they are an active part of civil society, because art is a safe space from which people can debate, interpret, build, and educate. This space must be defended because it benefits us all: art is a social tool. research process of conceiving it. Artists have the right to create the work they want to create, with no limits; they have the duty to be responsible without self-censorship. space belongs to civic society, not to governments, corporations, or religious institutions. Freedom of artistic expression does not emerge spontaneously. It is something one learns to reach leaving behind pressure, emotional blackmail, censorship, and self- censorship. This is a difficult process that should be respected and appreciated. Artistic censorship not only affects artists but the community as well, because it creates an atmosphere of fear and self-censorship paralyzing the possibility of exercising critical thinking. To think differently from those in power does not make you irresponsible. 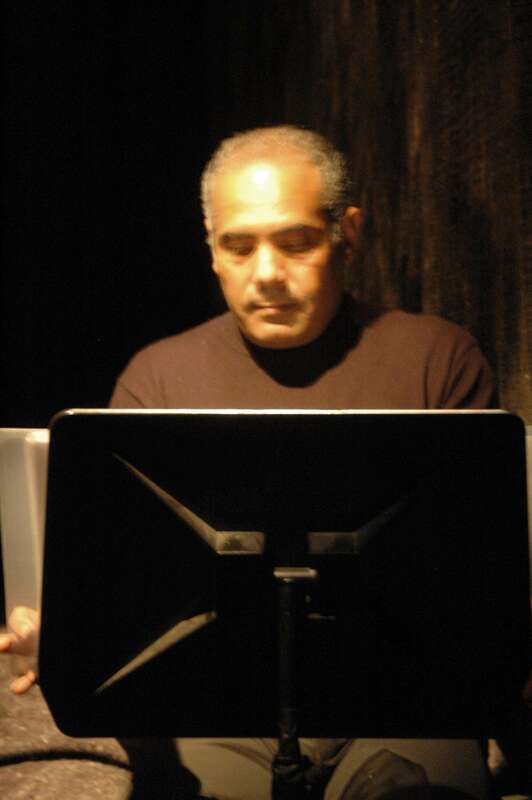 In moments of high sensitivity (wars, legislative changes, political transitions), it is the duty of the government to protect and guarantee dissident, questioning voices, because these are moments in which one cannot do away with rationality and critical thought and it is sometimes only through art that many emerging ideas can make a public appearance. Without dissent there is no chance of progress. Socially committed artists talk about difficult moments, deal with sensitive topics, but, unlike journalists, they have no legal protection when doing their work. Unlike corporations, they have no significant economic backing. Unlike governments, they have no political power. Art is a social work based on a practice that makes artists vulnerable and, as is the case with journalists, corporations, and governmental or religious institutions, they have the right to be protected because they are doing a public service. The right to decide the value of an artistic statement is not a right of those in power. It is not the right of governments, of corporations, of religious institutions to define what art is. It is the right of artists to define what art is for them. Art is a complex product without a single and final interpretation. Artists have the right of not having their oeuvre reduced or simplified as a schematic interpretation which may be manipulated by those in power to provoke and, consequently, result in public offenses directed to the artists, so as to invalidate their proposals. To create a space for dialogue and not for violence against works of art questioning established ideas and realities, governments should provide educational platforms from which artistic practice may be better understood. only exercised through direct political pressure, but censuring the access to economic support, creating a bureaucratic censorship postponing production processes, marginalizing the visibility of a project by drawing artists away from legitimization, and distribution circuits; controlling the right to travel, deciding who has the right to talk on what subjects; and, at times, even using “popular sensitivity” as censorship. All these are decisions taken and conducted from political power so as not to be challenged. they have arrived. This is a situation of censorship in which artists are relegated to being uni-dimensionally political: a used political object. The process of discovering a different society, the inner negotiation required to understand the place of arrival and the place one has left, is inherent to contemporary condition, which is, increasingly, a migrant condition. 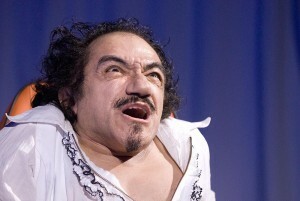 This is a condition that artists embody and on which they have the right to express. After all, a national culture is the hybridization of the image those who do not live in the country have of it and all present day by day build, wherever they have originally come from. We cannot ask artists, whose work is to question society, to keep silent and resort to self-censorship once they cross a territorial border. what, as times goes by, is recognized as culture. place. It is a society that expresses itself better, because it expresses itself in its entire complexity. There is no other type of practice in the public sphere providing the qualities of the space created by art,. That is why this space must be protected. established. Critical thinking is a civic right which becomes evident in artistic practices. That is why, when threatened, we should not talk of censorship, but of the violation of artists’ rights. Puppets created for Black Sun Over Genoa by designer Janis Heart see active service at the protests against the G8 Summit at Gleneagles. 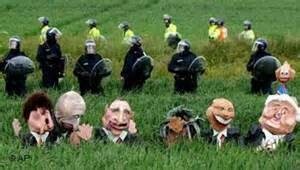 The bemused puppets were then assaulted by baton wielding policeman, pictures that made the International Media. Fortunately by that time we had retreated to a safe distance. 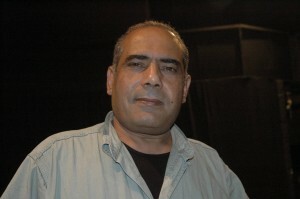 Ghazi Hussein is a Palestinian poet and writer who has been imprisoned and tortured many times because his poetry speaks directly to the suffering of the Palestinian people. Ghazi was lead writer on Trouble Sleeping, The Jasmine Road and One Hour Before Sunrise. Our Production of Portadown Blues told the story of state complicity in the murder of Human Rights lawyer Rosemary Nelson. We received daily death threats from Loyalist Paramilitaries but the cast decided to continue to perform every night. Despite calls for support the Scottish Theatre community remained silent, one suggesting that we had brought it on ourselves. 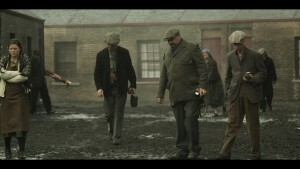 The depiction of the struggles of the Fife Mining Communities in 1926 in Robert’s film THE HAPPY LANDS continues to be screened and distributed around the world, it has won Best Film awards and been screened by the BBC. The film was made by the ancestors of the people whose story it told i.e. working class communities of Fife. The Centre For the Moving Image, the state funded Edinburgh Filmhouse refused to screen it on the basis of “protecting its audience from work like this”. When The Times newspaper condemned it’s actions as censorship and snobbery Picturehouse, who own the nearby CAMEO, stepped in to theatrically distribute across the UK . The CAMEO screening sold out and received a standing ovation. The film premiered at the brilliant Glasgow Film Festival who put on extra screenings.